IZOLAN of BARIKAD CREW, the most popular artist in Haiti according to many, invites KM to the video shoot of his upcoming music video "MONEY ON MY MIND". Check out VIDEO FOOTAGE & PICTURES! *VIDEO FOOTAGE OF BEHIND THE SCENES OF IZOLAN'S "MONEY ON MY MIND" MUSIC VIDEO! 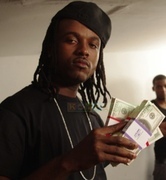 *PICTURES of the VIDEO SHOOT FOR "MONEY ON MY MIND"